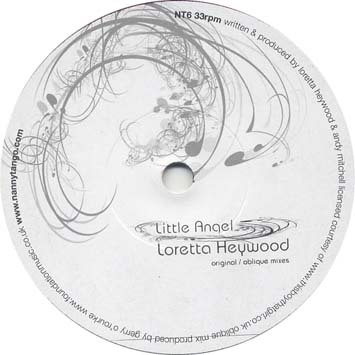 Nanny Tango is pleased to present the captivating soul & jazz folk stylings of 'Little Angel' by Loretta Heywood. Loretta will be familiar to music lovers around the world for her collaborations with Bugz In The Attic, Wai Wan, Afronaught, Major Force & for her UK top ten as singer / co-writer of the Bomb The Bass classic 'Winter In July'. Her soothing, layered vocals & melodic approach have established Loretta as a major UK talent, comparable to performers such as Alice Russell, Joss Stone & Alison David. 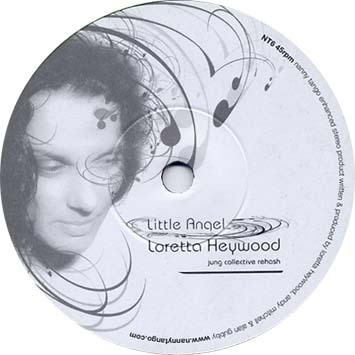 'Little Angel' is described by Loretta as "a state of confusion, something we all experience but here I'm observing it in someone else and reaching out to them". 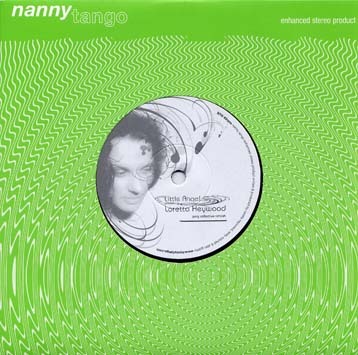 Jung Collective Rehash: Alan Gubby (Nanny Tango / Tru Thoughts / The Leaf Label / Soul Jazz...) delivers a deep, afro funk groove with double bass, percussion & psyched out glitches. Original version: swinging, radio friendly, folk & soul. produced by Andy Mitchell & Loretta Heywood. Oblique Remix: Gerry O'Rourke (Loose Ensemble / Foundation Music...) provides a minimal, Detroit electro version with quirked out synths & reverberating vocals.